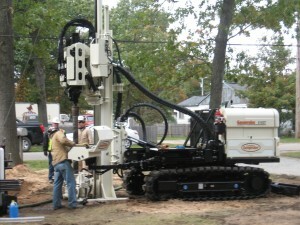 MATECO Drilling is pleased to announce the addition of Rotary Sonic drilling to the list of services for our clients. Geoprobe’s 8140 DT Rotary Sonic drill, equipped with the Geoprobe GV-4 sonic head and powered by a 120 hp engine, incorporates the latest in sonic drilling technology. 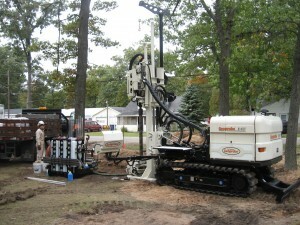 The primary benefits of sonic drilling technology are its rapid drilling rates combined with reduced volumes of waste. This is considered a mid-size sonic rig which enables MATECO Drilling to ensure the least amount of disturbance to surrounding areas.